Northern Beaches Showroom – Unit 4, 49-51 Chard Road, Brookvale. Sutherland Shire Showroom – Unit 10, 74-76 Oak Road, Kirrawee. 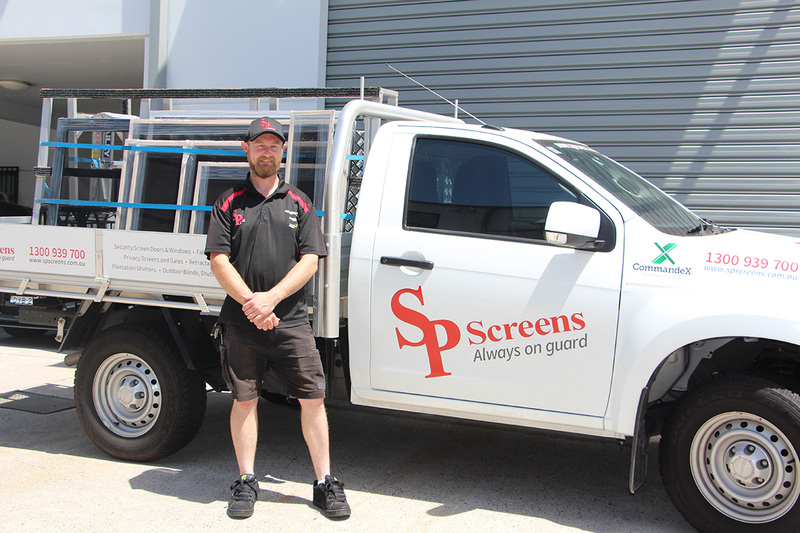 SP Screens has a screening solution for every situation, ranging from retractable flyscreens that keep Sydney critters at bay, to reinforced security screens for keeping out intruders and keeping children and pets safe. Our professional and experienced staff proudly install quality security and retractable flyscreens in Sydney’s Sutherland Shire, Northern Beaches, North Shore, Inner West, Eastern Suburbs, Western Suburbs, Hills District, Canterbury/Bankstown, Macarthur and St George area. At SP Screens, we provide a variety of premium products that allow you to make use of this lovely climate, without sacrificing your home security. Our security screens provide a toughened barrier to entry, allowing the air to flow freely through your home, while keeping both intruders, and pesky insects, outside where they belong. Backed by exceptional warranties, and created locally by leading manufacturers, our screens are capable of changing the way that you enjoy your home. They’re packed full of features to make them functional and stylish so that they blend effortlessly into nearly any home. Contact us today to learn more, and to organise your free measure and quote. Our local team understands that Sydneysiders require durable, dependable and beautiful security and screen solutions for their homes. Our security doors are class leaders, and an enormous variety offers you the chance to choose exactly the right fit for your home and your finances. Secureview 316 Marine Grade stainless meshing is corrosion-resistant, for those seaside locations. And tough? It will stand tall against a huge variety of methods of forced entry, while keeping pesky insects out of your living area. Our range of Fallsafe screens are designed to ensure that higher-level windows are not dangerous for children, the elderly, or pets. These tough screens are installed by our security licenced installers to meet BCA (Building Code Australia) requirements and are easily capable of stopping a falling person. Retractable flyscreens can change the way that you enjoy your home. They allow you to fully open up your bi-fold doors or alfresco dining area, while maintaining a fly-free atmosphere for your family and your guests. And with their clever and seamless storage cassette, you won’t be sacrificing space to enjoy them. Sometimes, you don’t want to share your property with your neighbours or passers-by. Our aluminiumprivacy screens are maintenance-free, won’t rust or degrade, and can increase your level of privacy on your property, while discouraging opportunistic theft. Stylish and easy to maintain, plantation shutters are a stylish method of controlling light in your home. They make it easier to maintain an amenable temperature indoors, and can ease your energy usage throughout hot and sunny days. We can quickly and easily colour-match our plantation shutters to your home, to ensure that they fit right in. Outdoor roller blinds aren’t just to provide privacy to your alfresco area – they offer a wonderful way to screen out direct sunlight, rain and wind so you can enjoy your outdoor area. With so many fabric choices available ranging from sun-screening to total block out, SP Screens outdoor roller blinds can help you to relax and enjoy your patio area.